Dream big they have always told you. To be honest, who amongst us doesn’t want to be the best they possibly can be? Well, that is where reality comes in. In the real world, there’s a difference in the trajectory flights of fancy and engineered flights take. As marketers we have often looked at, wondered about and some of us might even have worked on products or brands that attempted to become a radically different version of their accepted selves. 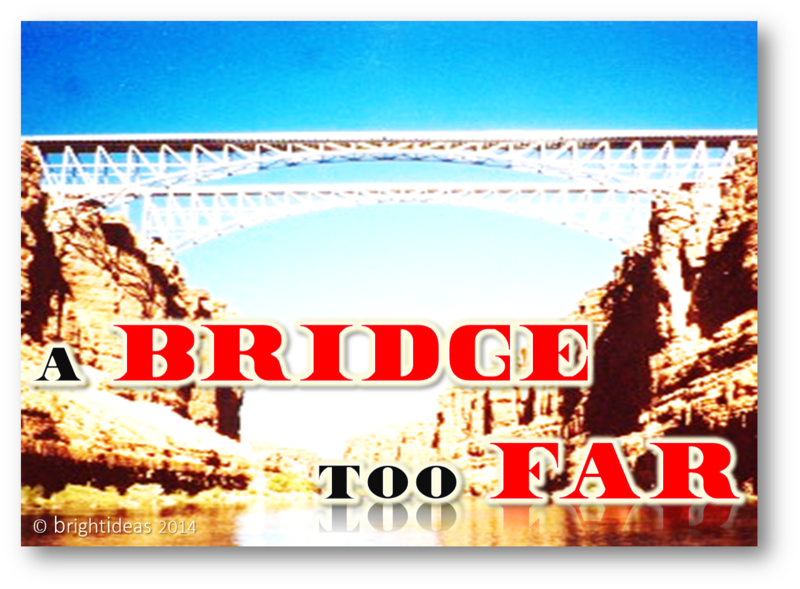 This post takes a look at a few cases where the brands went against the grain, took the leap but fell or might end up falling short. Of course hindsight is 20/20. Here’s a take on what perhaps the brand bosses might have said to themselves before diving head-first. “The product is worth it” or “We shall communicate rich” or “We’ll price it premium” etcetera etcetera. Could work on any given Sunday if you did not have brand baggage to contend with. There are very few brands that the world knows of that entered at the value end of the spectrum and rode up to aspirational end. While some have made successful attempts with new brands, for some others the converse holds true. Brands as they get built over time create their unique identity. This gets supplemented with the kind of products the brand puts into the market, the brands communication etc. 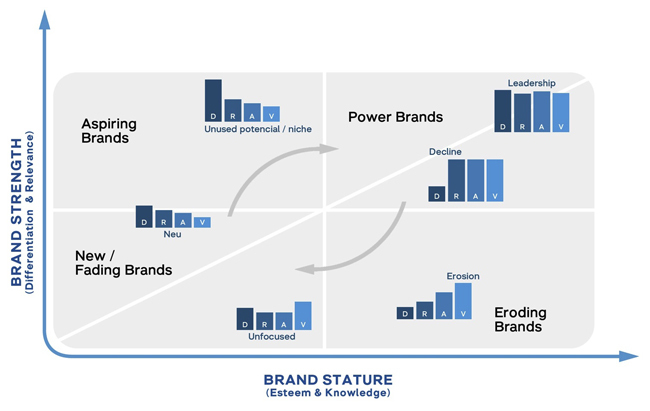 Young & Rubicam’s BrandAsset™ Valuator Model is an interesting method of measuring brand value and relies on four fundamental elements of Differentiation, Relevance, Esteem and Knowledge that it says over time determine the strength and status of a brand. 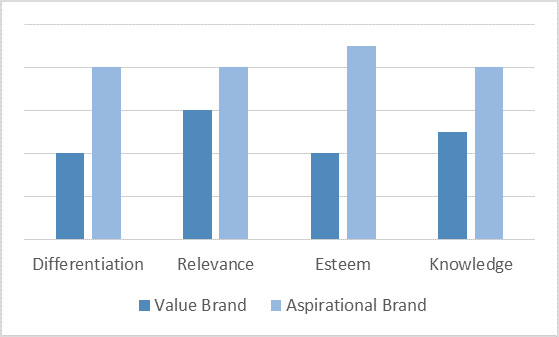 Now for argument sake let’s construct how a Value brand’s strength and stature graph and compare it to how an aspirational brand would stack up. Intuitively one would say that a value brand does not normally offer great differentiation, is under consideration largely owing to the product category being high on relevance for the consumer, does not have outstanding credentials but makes the cut due to consumer’s familiarity with the brand. Simply put the customer does not mind buying a value brand, the brand deserves you. An aspirational brand on the other hand is extremely differentiated in the consumers mind, high on relevance as the consumer is thinking he or she is deserving of the brand, held in high regard owing design or innovation pedigree and has an intimate connect with the consumer. A brands image has tangible and intangible aspects and often it is the quantum of intangible that determines the premiumness/aspirational quotient of a brand. The sources of this “added” value could be the brand name itself, its outlook, its communication or how it is priced. The signature of an aspirational brand is its ability to command a price without having to justify it. A Maruti Suzuki can make cosmetic changes to its entry level-mid level cars such as the Alto, Wagon-R etc. and continue to be a volume leader, however it fails miserably when it has to justify a high end Kizashi. Similarly for Tata Motors it can be fairly successful with a Safari but not Aria. No amount of “first of its kind” communication tickled any consumer fancy. These brands maybe are too entrenched in their “value” image and need to move mountains to justify even a slight premium. While the Ferrari’s and the Lamborghini’s of the still fall under the “Unlikely to own” bucket for Indians their less flamboyant European cousins are perceived to be worthy of the premium they charge. Coming to gadgets and gizmos, having tasted success with their entry and mid segment mobile phones brands like Micromax and Lava with their new brand are attempting to take a slice of the mid-high end pie of the mobile phone market in India. Micromax with Hugh Jackman and Xolo with their positioning pitch high. While one has brand baggage, the other is an attempt at building a brand ground up. Trouble is they neither have the pedigree nor the sit-up and take notice kind of innovation to catapult them. In the final analysis these brands would have been unable to build a bridge between their “value” roots and “aspiration” dreams. Another perspective, they just might have moved from being a value brand to a valued brand. Who knows? !